Up to four guests can share this cozy cottage. 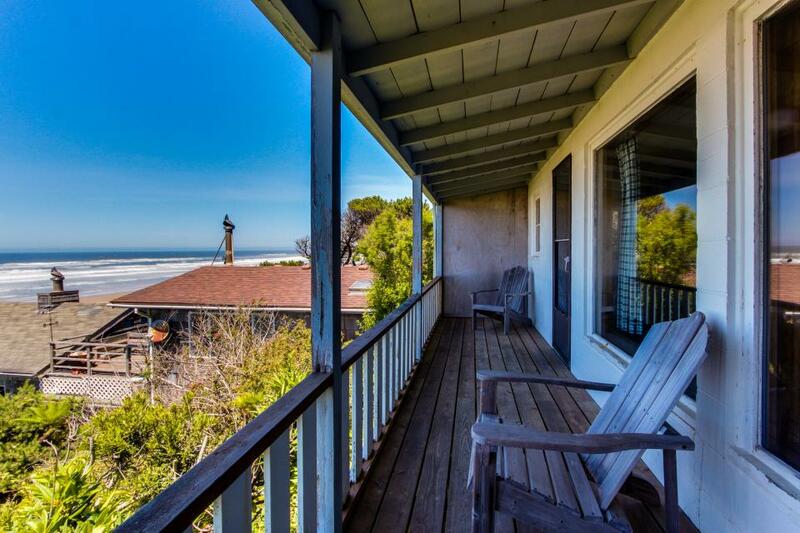 Cozy up by the fireplace, take a long soak in the bathtub, or just sit out on the private balcony with view of the ocean! The cottage has a full kitchen, and a queen bed in the bedroom. Up to two dogs are welcome as well, with a $10 nightly fee per pet and $40 minimum per stay.